Chalk Talk as a method of learning. Have you ever wondered what a chalk talk method is!! It is a technique that creates a conversation , mutual opinions and comments among learners through writing. Chalk Talk is a silent conversation in writing that allows students to have an equal opportunity to participate. It is a versatile protocol that can be used for many purposes. Students and teachers love it. A chalk talk is a monologue presentation done while the speaker draws. It is usually done with chalk, hard crayon, or pastel, or with dry-erase markers on a whiteboard. 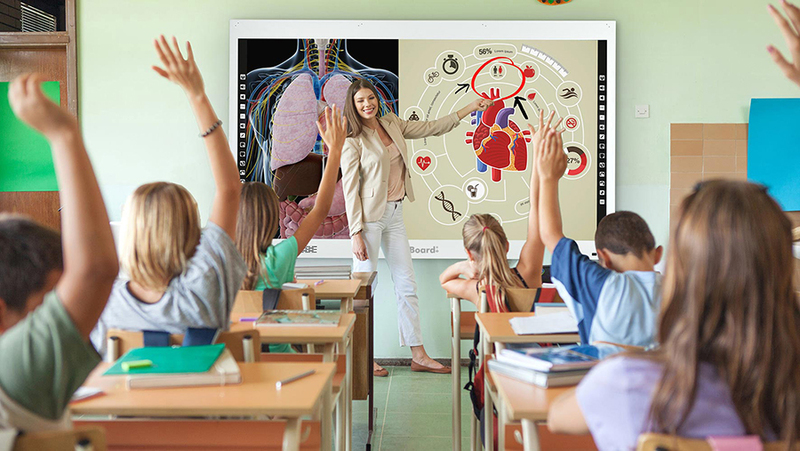 The chalk talk method of teaching focuses on the blackboard and the lecturer's voice and also the activities – to be precise, the physical activities.! The Chalk Talk thinking routine provides an opportunity for everyone to be given a chance to be heard. Thinking becomes visible and it encourages students to consider others' viewpoints. 1-It can be used in doing the "Warm up" of the lesson. Learners can have a look at the title of the lesson and can guess the contents of the lesson. 2-It can be used in doing feedback at the end of the lesson as a method for learners to answer the following question: What have we learnt today? 3- It can be used through implementing group work procedure as the group presenter can use his chalk to add his group comment or to add his group's opinion or question. Through using" chalk talk" in the 3 previous items , the teacher can do a self -reflection when he sees the "chalk talk" done by learners and he can compare it with the learning objectives of the lesson. A Chalk Talk is a silent activity that provides all students the opportunity to reflect on what they know, and then share their thinking and wonderings while connecting to the thoughts of their classmates. Despite the name, there is no chalk involved, only paper and pencils or markers. This week I'm excited to share with you how you can use this routine in your classroom to ensure all students have an equal opportunity to express themselves while developing new understandings. There are so many times that a Chalk Talk is my go-to method to jumpstart a lesson or find out what my students are thinking at any point in time. There's also a personal reason I'm a fan of Chalk Talks. Being an incredibly shy student in elementary school, my ideas were rarely heard. Those brave enough to raise their hands or shout out, however, were heard by all. Chalk Talks provide a forum for introverted or hesitant students to share their ideas with peers. Below are some of the many other reasons I've found Chalk Talks to be useful. 1-It helps the learners to generate new ideas. 3-It increases creativity and silent conversation. 5-It addresses students' skills and activities. 6-It is a learner-centered method of learning. The facilitator writes a relevant question in a circle on the board. Sample question: My learners, look at the of the lesson and its text pictures and guess what our lesson will discuss today? 1- No one may talk at all. Anyone may add to the chalk talk as they please through using the chalk to expand the main idea to generate other side ideas, comments or questions. Any learner can comment on his peer;s idea or comment by connecting a line to his peer's idea on the blackboard. 2- Learners come to the front of the class and hold a piece of chalk to write their comments , add their opinions, draw sketches or use mind-mapping in expanding ideas whenever they feel moved. 3-The teacher stands at the back of the class monitoring, encouraging and checking what his learners do. 4-The teacher interferes to circle the interesting ideas, refers to the repeated comment and encourages expanding or broadening the main idea. 5- Learners can put their ideas or comments in circles or rectangles drawn by them on the blackboard. They can share with a relevant drawing. 6-Learners work silently without speaking at all. I can write the letter "A" on the blackboard and put it in a circle. Learners can come to the blackboard and write the words apples, apron, ask, answer but others can write: it is the first letter, it comes before C , it starts the word "American" and another writes a word that has the letter 3 times like the word " Banana" and so on. The teacher can write the name of the hero of a novel and students come to the BB to write the word" hero", I like him, why? because so and so , he did so and so but other students can draw one of his actions and so on. .